Fab Eye Pencils Giveaway! Win choice of 4 from Pencil Me In - Susan Said... WHAT?! The other day, I ran into an old friend and former Miss USA contestant. Four kids and many years later, she is still a lovely woman. And, she still knows exactly how to maximize her best features. But, finding that fine line can be challenging. As we age, our skin loses elasticity and vibrancy. The natural inclination, of course, is to add it back using more (and more) cosmetics. But, to look younger, it’s often the choice of product itself that can make all the difference. Eyeshadow is a perfect example. Rather than providing camouflage, powdered eye shadow can actually make wrinkles and sagging skin around the eyes look worse. The powdery shadow has a tendency to settle into wrinkles making them more – not less – noticeable. But, giving up colorful eye makeup is simply not an option… which is why I love Pencil Me In eye pencils. 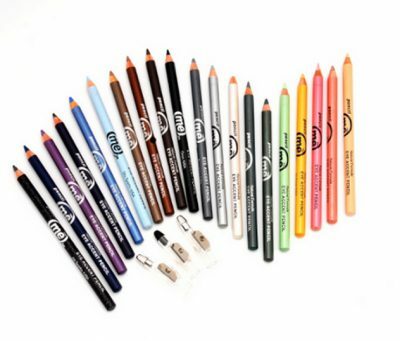 These are the best eye pencils ever! They come in a rainbow of shades from pretty neutrals such as Brownie, Liberty Green, Lapis, and Onyx to va-va-voom hues such as Denim, Pink Lady, and Purple Passion. There are 30 amazing shades for every eye color and application. It’s a bit like having a brand new box of Crayola crayons! Not only are the shades gorgeous, the super soft, creamy formula glides right onto skin, with absolutely no tugging, pulling, or reapplying the same line over and over. 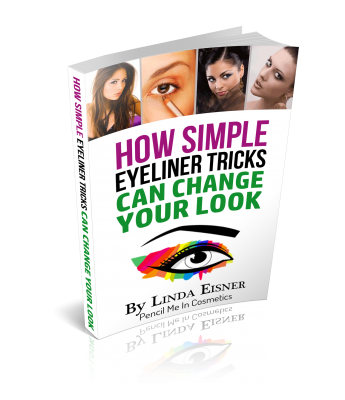 Use as a simple eyeliner or fill in your lid to completely replace the need for eyeshadow. The heavily pigmented, waterproof eye pencils last all day, but can be easily, quickly and completely removed with standard makeup remover. And, there are no harsh chemicals to irritate even my sensitive skin. Pencil Me In eye pencils are Paraben, petroleum, and gluten free. But, my favorite feature is the built in sharpener! Each pencil cap has a built in sharpener. So, you never have to work with a dull pencil again. The ability to create a precise line anytime, anywhere makes Pencil Me In eye pencils a must-have for touch ups after a workout, for office-to-evening transitions, and for travel. Single pencils retail for $6.99 each. A six piece set is $40. Or, go for broke with a 30 piece rainbow of color for $168! Now, one lucky reader will win their choice of four Pencil Me In eye pencils! Retail $27.96. To enter, simply use our easy Rafflecopter form below. This giveaway is available for readers in the CONTINENTAL USA, aged 18+. Odds are determined by the number of entries received. Giveaway ends 6-7-2017. Zim’s 4-piece prize pack including Max-Freeze Gel, Max-Arnica Homeopathic Roll-On, Max-Aloe Acemannan Gel, and Advanced Hydrocortisone Spray. Retail value $45. DISCLAIMER: No financial compensation was received in exchange for this post. I did however, receive a product sample(s) in order to fully test the products(s) and provide an honest review. Regardless, I only recommend products or services that I believe will be good for my readers. Separator image Posted in GIVEAWAYS, WOMEN'S HEALTH & BEAUTY. I would love to win because I love makeup & always need eye pencils. I would like to win so I could emphasize my eyes with these nice pencils. I would love to win this to share with my daughter. I like CHAMPAGNE SPARKS EYE PENCIL. My favorite color would be Emerald City eye pencil! I’d love to win this pencil set so I could beautify and enhance my eyes and make them look more colorful and gorgeous. I would love to win because I always use eye pencils. I get the most use out of them of all my makeup. My favorite color is the Denim Eye Pencil. My eye makeup is the most important part of my daily routine, so I would love to try these pencils! I love the Amethyst I use purple on my eyes all of the time. I would love to win this because I hardly ever buy makeup for myself. As a stay at home mom I usually go without. I like the EMERALD CITY EYE PENCIL. I can’t do my makeup without an eye pencil, i always use one! I would love to try these out, i love all the beautiful colors they have. My wife would like the green ones. My first color i would want is the onyx pencil but i also love the silky suede pencil. I need some new colored eye pencils for summer too and they have some beautiful colors.